Slide guitarists who hit the big time don’t emerge all that often — the genre hasn’t seen much new blood this century outside of Derek Trucks and Luther Dickinson. But Dennis Johnson might be joining their ranks soon. The San Francisco-based performer who lives in Sacramento is starting to flex his creative muscles on “Rhythmland,” his third album. Recorded at Paradise Studios in Sacramento — as both of his other releases were — Johnson enlisted in-house engineer Craig Long to co-produce the album and augment his trio on half of the tracks by contributing keyboards. He cites Robert Johnson and fellow Northern California slide guitarist Roy Rogers as major influences, and credits David “Honeyboy” Edwards with convincing him to go professional when he was unsure if he wanted to make music his career. “Honeyboy told me, ‘If you like to play the blues, play the blues!’ … When I shook (his) hand, I felt an energy there. … It was fate,” Johnson says in the album’s press release. The song cleverly uses a bridge that recalls the beginning of the instrumental portion of the Rolling Stones’ “Can’t You Hear Me Knocking?” to segue into its own extended instrumental midsection, which in turn boasts several interesting time-signature changes. A vocal reprise is then followed by an instrumental outro that simultaneously sounds like the climactic ending of Santana’s cover of “Black Magic Woman” and the rhythm chart to Jimi Hendrix’s “Third Stone From the Sun” (kudos to drummer Tim Metz and bassist Jonathan Stoyanoff for that last bit). “Fillmore Street” and “High Heel Shoes” are prime barrelhouse/boogie-woogie in the vein of Larry Raspberry and the Highsteppers or Commander Cody and His Lost Planet Airmen. “High Heel Shoes” features Johnson on a 1961 Martin New Yorker, rather than the album’s predominant 12-string Dobro, and “Fillmore Street” contains some fine ivory-tickling by Long — as does “My Love Is Here for You,” a Tin Pan Alley-style song also featuring the Martin New Yorker. Long makes another keyboard contribution on “Southbound Train” (electric piano), a lament about days of heartfelt blues — and authentic music in general — gone by. The tune additionally is bolstered by Johnson’s keen emulation of a locomotive whistle. 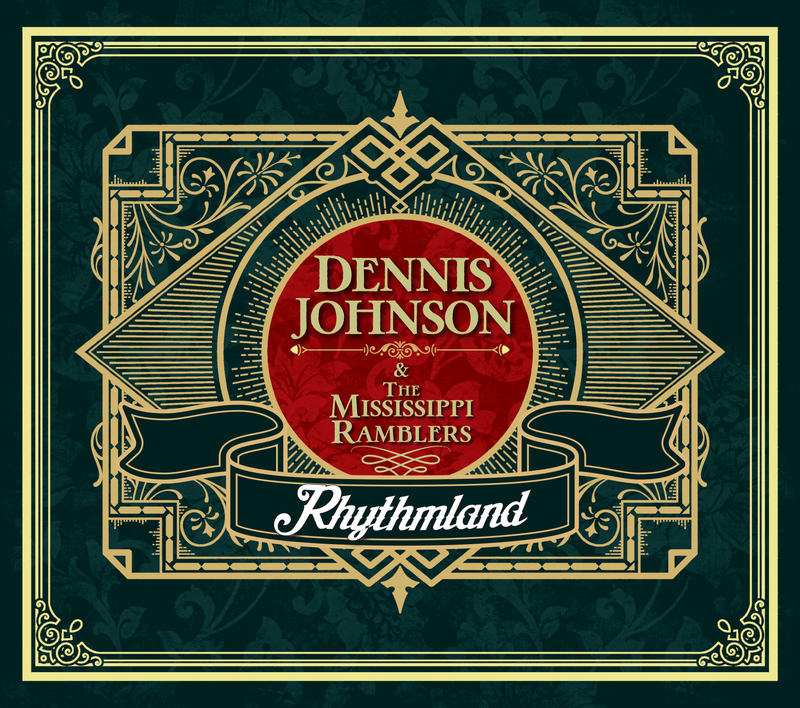 And Johnson can pull off a lament like that because he’s the real deal: “Rhythmland” successfully wraps slide guitar around various subgenres of blues, folk and rock with an emphasis not only on rhythm but on great storytelling.